Rich in heritage, opulence and vibrancy, our much-loved jewel of Cheltenham today sets a stunning backdrop for an impressive all year round events programme, as well as private functions and corporate hospitality. Imagine the dances and music of years gone by, while enjoying popular live music, comedy, festivals and exhibitions. Dine with us in our Regency Café before enjoying your event, or relax with a refreshing drink in our Imperial Garden Bar. 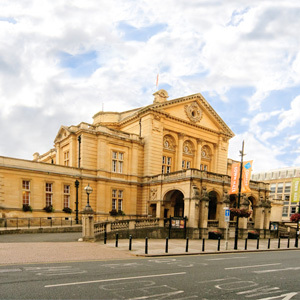 Built at the turn of twentieth century to accommodate the many balls and concerts of the town’s social calendar, Cheltenham Town Hall was, quite literally, made for celebrations. 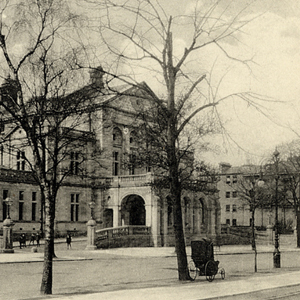 Until the year 1900, the role had been filled by the old Assembly Rooms in the High Street. Its demolition to make way for a bank prompted the Council to build a new, and much larger Hall, on a new site. The total cost of the building, including its marbled Corinthian style columns, intricately decorated coved ceiling, dance-friendly sprung floor, beautiful balconies, internal decoration and fixtures and fittings was around £45,000! Standing proudly overlooking the immaculately manicured Imperial Gardens, Cheltenham Town Hall comprises of a grand Main Hall, varying sized dining and drawing rooms and offices. Cheltenham Town Hall was built in 1902-03 in order to provide a venue for the many balls and concerts that made up the town’s social calendar at the turn of the twentieth century.